Mac or Windows for Business ? 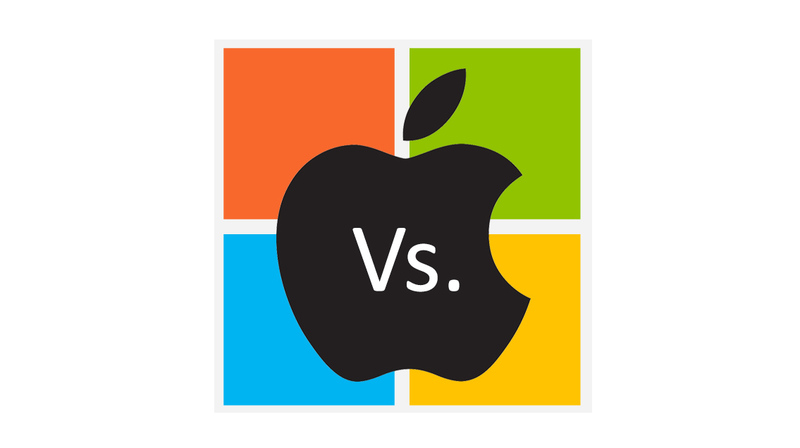 Big question when small businesses form or start to expand is do we use Mac or Windows? This obviously depends on your business but the majority of industries use Windows operating servers in their datacentres. Although you can use Macs with Windows servers, the cohesion is not as straight forward as a Windows client and server network. Any kind of graphics or art industry companies will be predominantly Mac based regardless. This is due to Apple’s superior screen resolutions and best of breed software, for those particular industries. Macs are also very attractive for smaller offices of 1 or 2 users. These kind of organisation need a versatile pc that can manage artwork software for your own use . Plus in general Apple pcs and it’s operating system are more reliable, which is obviously useful to small business as they won’t have their own IT department to take care of any isssues. For now then Microsoft servers and workstations have around 90% of the business market. Since Microsoft Office has become available for Mac we have seen them take a slightly bigger share, but still at a fairly slow rate. This could change though, as mentioned earlier, the hardware and operating system of Apple does seem to be gaining recognition for it’s reliability. If you have a large IT department then investing in a Mac network could see a good return on investment, in cost savings from them. Let the battle commence, if Apple increase production, bringing down costs and Microsoft don’t address reliability issues, Apple could one day get there.